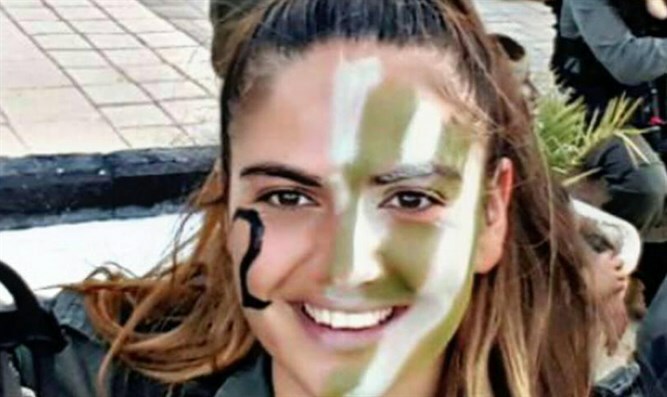 Drivers who transported terrorists who murdered Border Policewoman Hadas Malka have sentences reduced by a third. The state decided to shorten the sentence and release the two Arabs who were convicted of transporting the terrorists who carried out a terrorist attack at the Damascus Gate and murdered border policeman Hadas Malka, News 2 reported. Members of the victim's family are furious at the decision and have not been updated. The two drivers were arrested and convicted on suspicion of causing death by negligence. One of them, an Arab who was sentenced to 16 months in prison, was shortened by a third and was released from prison. The second, an Israeli Arab who was sentenced to 14 months in prison, was informed today that the parole board had decided to shorten his sentence by a third and release him immediately. The State Prosecutor's Office objected to the move and requested that the release be delayed in order to appeal it to the court. Sources at the Israel Prison Service wonder how it was decided to shorten the sentences of the two, defined as security prisoners, in a precedent-setting manner. They also wonder why, contrary to the practice, there was no request to accept the position of the victim's family. The Malka family sent an angry letter to the State Prosecutor's Office and the Israel Prison Service stating that "the deduction of one-third of the scoundrels who aided the cursed terrorists is another stage in our mental death." Attorney Haim Bleicher, the lawyer for the Hananu family, said: "This is a war against terrorism. Any relief from punishment conveys a lenient approach to terrorism."